I purchased a giant cupcake silicone mould online. It got delivered within 2-3 days. Turns out, that it wasn't that great after all. More than a cupcake shape, it looked like a beehive. 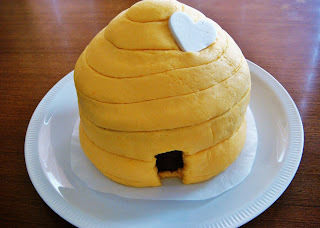 So, I covered it in custard flavoured rolled fondant and turned it into a beehive. 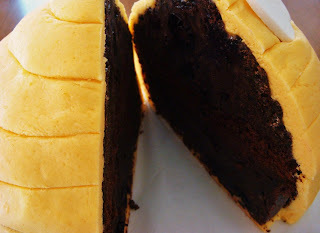 Chocolate chilli cherry cookie cake, covered in custard flavoured fondant. Lot's of words beginning with C, ey? Haha. 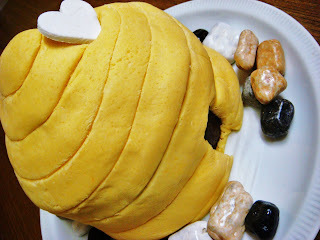 Chocolate chilli cherry cookie cake, covered in custard fondant. In a double boiler, melt butter and chocolate. Allow to cool. Sift flours, baking powder and cocoa together in a bowl.Add milk and egg yolks. 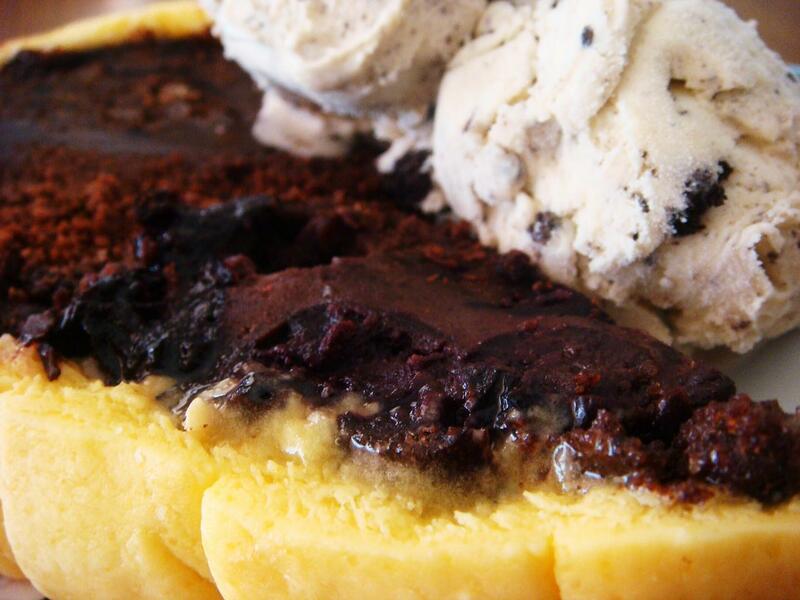 Mix.Add cooled chocolate. Mix. Add in cookie crumbs and cherries. Mix. Whisk egg whites until soft peaks. Add sugar gradually whilst beating until stiff peaks. Grease cake pan. (I used my giant cupcake silicone casings) and gently pour cake mixture until 3/4 full.Bake in a preheated 155C oven for 1hr and 40mins or until cooked. 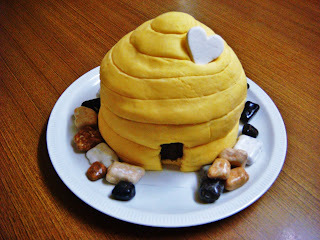 Allow to cool completely before covering with rolled fondant. Serve with cookies n cream icecream! To me, the fondant is purely decorative. I don't really eat it because it's just sugar.